Punjab Chief Minister Shahbaz Sharif on Monday visited MNA Makhdoom Khusro Bakhtiar, his father MNA Arshad Khan Laghari in Rahim Yar Khan and offered condolences over the demise of the latter’s brother. 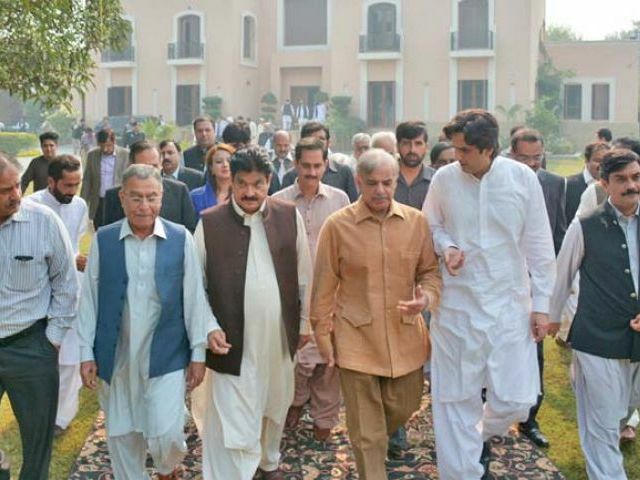 Shahbaz, who was visiting Rahim Yar Khan, visited Bakhtiar’s residence in Mianwali Qureshian and Rahimabad in Sadiqabad and addressed a public gathering at Bakhtiar’s residence. Commenting on the first phase of local body elections which took place Saturday, Shahbaz said that the people had voted in favour of honesty, hard work and transparency while they had rejected the elements which were creating hurdles in the development of the country. Published in The Express Tribune, November 3rd, 2015.